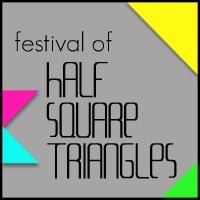 This post is part of the Festival of Half Square Triangles. Hello, everyone! Happy Tuesday and welcome to my stop on the Festival of Half Square Triangles blog hop! I love HSTs, so much that I struggled on deciding which project to share with you all. 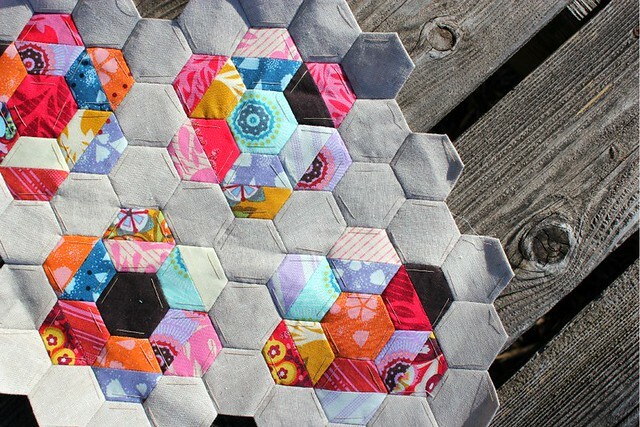 But in the end, I've decided to revisit my HSTs+hexagons post because it's my favorite project to date using HSTs! 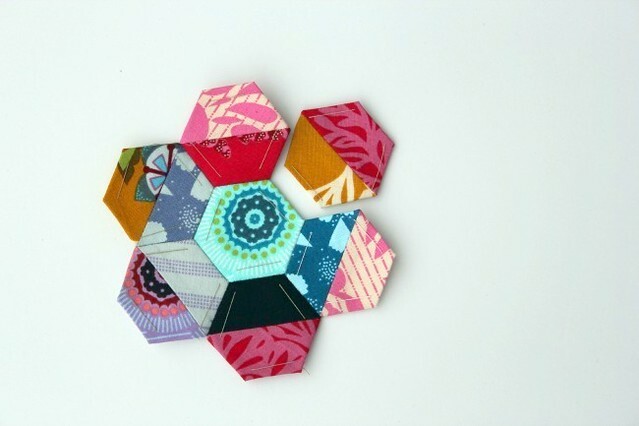 Be sure to check out the entire blog post for tips on English Paper Piecing as well as a tutorial on how I created these half square triangle hexagons using leftover scraps from this quilt. I've started to pair these little EPP half square triangle flowers with a bit of Robert Kaufman Essex linen/cotton blend fabric -- LOVE that fabric! Don't forget, the Festival of HSTs linky party featuring all of YOU starts next Monday, April 16th! Fat Quarter Shop is giving alway some serious gift certificates -- you won't want to miss out! Wow, this is a fantastic idea!. I love this project of yours so much Megan! Can't wait to see it finished! I am so glad you posted this again. I had seemingly forgotten about how much I LOVED these, and I just ran across a great bag of HST scraps that will be perfect. Thanks! WoW! What a neat idea. Awesome! I love english paper piecing and what a super way to use up my extra HSTs from projects. Thanks for the tutorial and inspiration! Different shades with each other are showing an inspiring look to it,Its interesting to make. Plastic business cards can certainly move far in the direction of helping you accomplish that. Customized plastic-type playing cards may help folks you supply the item to keep in mind equally you plus your goods and services.